You can’t transform mountebanks into menschen. Character is like concrete: You can make an impression when it’s freshly poured, in its youth, one could say, but when it sets, it’s impervious to alteration. It’s 6:38 pm and I’m rushing across town to catch the 7:12 at Grand Central. It’s 6:38 pm. I note the coincidence – I boarded the 6:38 am morning train, must be some significance in that. Or absolutely none at all and you are delirious. The thought evaporates like mist and the mind shifts to The Feet. Still 75 minutes from home. The skin has been scraped raw off both heels from new shoes – I wince with each step. How about a few shots of Novocain Doc, hit me. Inject a few blasts in the forehead and let it slow drip, down the bloodstream, relieve the weight from the shoulders and back, and let it settle in my feet, just camp out right there. Above all, he was a representative—the perfect representative—of a certain kind of Canadianness, reflected, as it was bound to be, in a hockey player, as perhaps Lou Gehrig or Stan Musial, other Iron Men, were representative of similar, American baseball values, now largely lost. 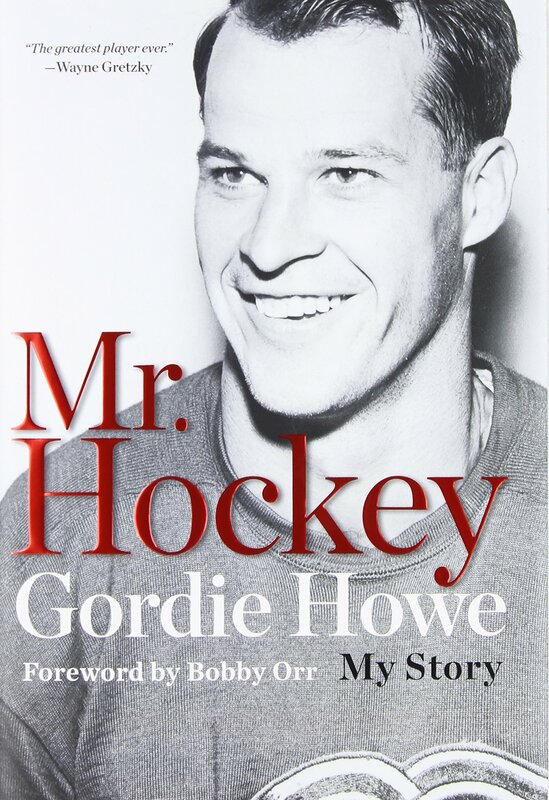 A product of Saskatoon, Saskatchewan, the most Canadian of Canadian places, Howe might have had the Canadian fault of being a touch too trusting, easily and even brutally exploited by the Red Wings owner Bruce Norris. He nonetheless made the Canadian virtues of modesty, persistence, and family-above-all-else part of the heritage of hockey. He didn’t just play with his sons; he played well with his sons—while his wife, Colleen, a Detroit girl, was always surprisingly visible, in a way few athletes’ wives were at the time. He even got to play in the now mostly—and unfairly—forgotten 1974 Summit Series, when the World Hockey Association’s stars took on the Soviets. He was old, but still the leader. There’s right and wrong, not just better or worse. “SAY anything critical about a person or an organization and brace for this pushback: At least he, she or it isn’t as bad as someone or something else. Set the bar low enough and all blame is deflected, all shame expunged. Choose the right points of reference and behold the alchemy: naughty deeds into humdrum conformity. Excess into restraint. Sinners into saints. Like I said, you can set the bar anywhere you want. And you can justify almost anything by pointing fingers at people who are acting likewise or less nobly. There are standards to which government, religion and higher education should be held. There are examples that politicians and principled businesspeople should endeavor to set, regardless of whether their peers are making that effort. There’s right and wrong, not just better or worse. MMM*: Their hope is so bright I can almost see it. My students still don’t know what they will never be. Their hope is so bright I can almost see it. I used to value the truth of whether this student or that one would achieve the desired thing. I don’t value that truth anymore as much as I value their unrest hope. I don’t care that one in two hundred of them will ever become what they feel they must become. I care only that I am able to witness their faith in what’s coming next. The mercury tipped 15º F. A veritable heat wave. It’s 6:20 AM and the train pulls into Grand Central. I twist in my ear buds and cue up my “Favorites” playlist. Angus Stone: Bird on a Buffalo. The herd stampedes out of the station. Are you the bird? Or the buffalo? I’m passing commuters on my left. And on my right. Another solid night of sleep. Superman. Cape. I’m out on 48th and heading cross-town. Cold air shocks Clark Kent. He wobbles, exhales mist, watches it rise and marches on. My pace has me hitting each “Walk” sign in succession. Dominos falling. No slowing, no stopping. Batta Bing, Batta Bang. Light wind gusts at my back. May the cabs stay on the highway and not plow into me on the curb. May these brutal Arctic winds stay down. Riding Metro-North. With our Kids. I’m stepping quickly in my 1/2 mile walk to the station. Suit. Top Coat. Gloves. Black lace-ups. No boots. Fear of: Black ice + Tumble = Face plant. My right ear is tingling. A dandy frost bite when I was 11. No hat. No matter how long ago, acts of stupidity are never far from consciousness. I glance at my watch. It’s tight. I step up my pace. Way (WAY) short on sleep. Mood: heavy. Dark. There will be retribution for the arranger of the 7 a.m. meeting in the City. Matthew 5:38: Eye for an Eye. DK 1:29:2015: Arm, Leg and Eye for an Eye. There are days when you need to read with paper in your hands. With something real touching your fingers. Yet, I’m conscious of being the only one in a packed train car crinkling a newspaper, shattering the silence of fingers swiping digital pads. The commuter next to me is asleep. I work on folding the morning paper. It’s maddening that I’ve never been able to hold and fold a newspaper like many commuters. I can’t roll my tongue. I can’t wiggle my ears. The genius who set up this 7 am meeting is going to feel the cold chill of the Juno aftermath.